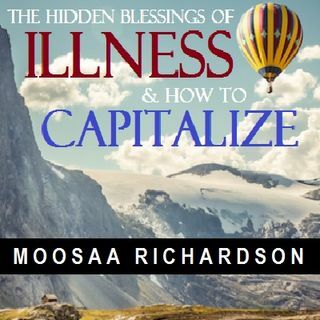 In this timely and much-needed khutbah, Moosaa Richardson highlights some of the overlooked aspects of being ill, revealing how great of a blessing it truly is to be sick and how most people fail to grasp that. He then advises the Muslims with seven practical steps for taking advantage of this amazing blessing in disguise. This Friday sermon was delivered at al-Masjid al-Awwal (First Muslim Mosque) in Pittsburgh, Pennsylvania (USA) on 1439.01.16. May Allāh reward our brother and teacher Abū al-‘Abbās Mūsā Richardson for his always tremendous and beneficial khutab, may Allāh place it on his scale of good deeds on the Day of Judgement. I want to ask, however, were all seven advices at the second part of the khutbah mentioned or did he miss one? While going over this khutbah, it seems he missed one advice when going over the seven advices. Wallāhu ‘alam, please correct me if I’m mistaken. Bārakallāhu feekum Dear loved ustaadh.